Look at the pictures and say if you have ever saw the beautiful and simple to sew skirt like this. It;s very easy to sew skirt and very comfortable for everyone. You can sew it for your children and you can also sew it for you. Choose your lovely material and start sewing your next skirt now for warm days. 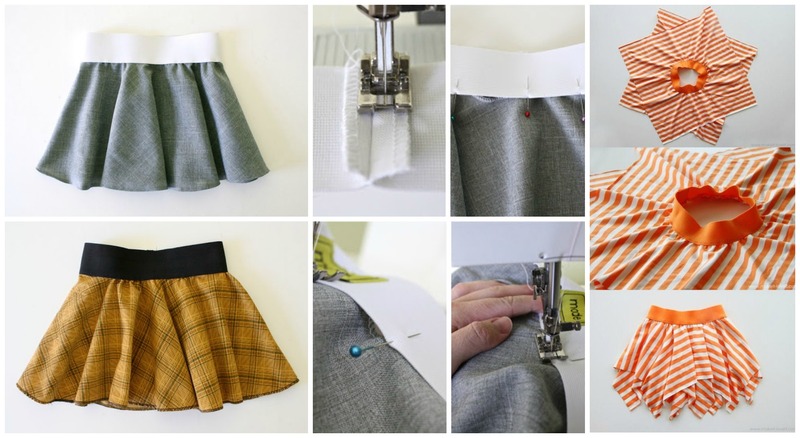 You can also sew with this tutorial skirt for schoolgirls in the themed colors. Need only few necessary supplies. Tutorial is with pictures and you will understand everything easily. Thanks to authors for everything. Good luck, we believe you will be happy with result.